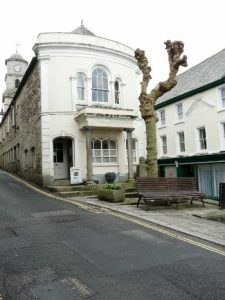 This museum of curiosities is housed in Penryn’s old Market House. Penryn has been a thriving port even before its neighbour Falmouth had sprung up. The town was mentioned in the Doomsday book in 1086 and has a rich and varied history. Penryn Museum is run by volunteers, who call themselves Penryn Museum Society. Do you have an interest in the local history? We are always on the look out for more volunteers. Penryn History | Powered by Mantra & WordPress.